Melania Trump said in a recent ABC News interview that she is the most bullied person in the world. 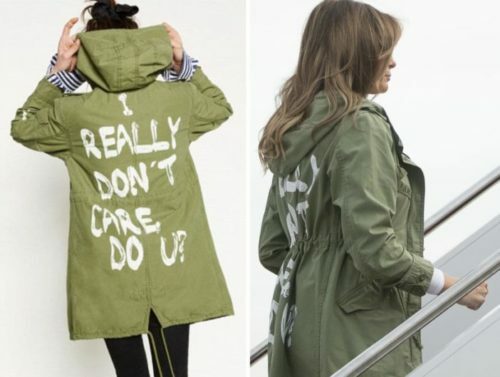 Trump is currently promoting her “Be Best” campaign, which is aimed at raising awareness around cyberbullying. This has gotten a sideways glances because her husband is one of the most famous cyberbullies in the world. “I could say I’m the most bullied person on the world,” she said in the ABC interview, referring to how people talk about her on social media. Journalist Tom Llamas seemed surprised, so she walked back her comment… a little bit. “One of them — if you really see what people [are] saying about me,” she said. As bullied as Jamel Myles? At age 9, he came out, both at home and at school. The bullying at school was so intense that, even though his mother was supportive, he took his life several days after coming out. Is she as bullied as Maddison Kleeman Rose? She faced years of taunting and confrontations in her transphobic Oklahoma community. Her family was forced to move away when adults talked on social media about how they wanted to hurt her. Or maybe she’s as bullied as Ronin Shimizu, a 12-year-old who died by suicide after what his parents called “relentless” anti-gay bullying? While it’s probably not pleasant to know that millions of people out there don’t like you and hate your husband, she also has the wealth to create a separate world for herself and the Secret Service to keep her physically safe. She could also just walk away from the public spotlight – nothing is forcing her to stay married to Donald Trump. Her campaign would be a lot less farcical if she at least appeared to understand what bullying is and how harmful it is. Instead, it just looks like a vehicle for her and her husband’s shared sense of perpetual victimhood.